Another gem from the Apollo's Apterra series is Apterra AT tyre. The off-roading specialist tyre holds reinforced construction with wear resistant technology that prevents any damage via cut, chip, or piercing of sharp objects. The perfect companion of pure off-road enthusiasts, it offers better traction and effective water and mud / slush dispersion. 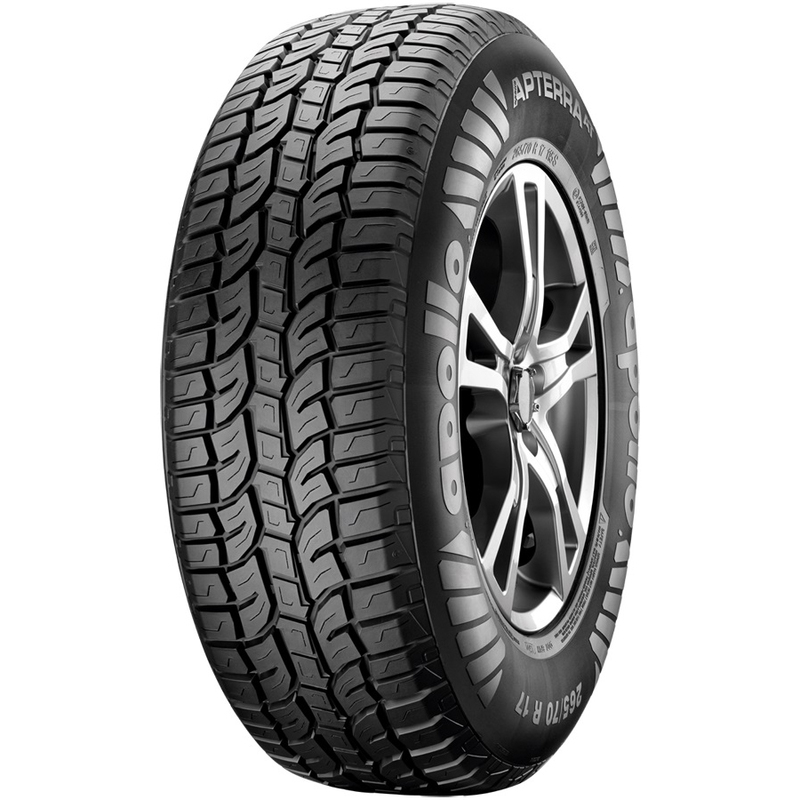 Apterra AT gets unique tread design with stiffer shoulder blocks for fast steering and planted stability while cornering on any given terrain. Available in varied rim sizes and variations, the affordable off road SUV tyre endows ideal grip over mud / sand or gravel ridden terrains. One of the most versatile all-terrain tyres from Apollo offers superior off road traction and longer tread life. With centre to shoulder cross grooves and broad shoulder grooves, it delivers excellent off-road performance. Rigid shoulder blocks make Apterra AT capable of handling rough and rocky terrains with ease. The skewed shape centre rib encourages better vehicle control during off-road and on-road applications. Quick and precise steering control counts for better stability and control of the vehicle. Its special carcass promotes enhanced durability with long tread life. With unique pitch sequence of the tyre ascertains reduction in noise while driving. The robust construction of the Apollo Apterra AT tyre with unique tread pattern allows it to take on mud, rock and slush effortlessly.